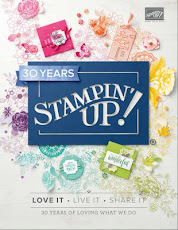 In preparing for my first Christmas Stamper's Dozen of the year, I really had some fun playing with my new toys from the Holiday Catalogue. You're going to love the variety of choices you have. In fact, it's going to be really hard to pick just one or two sets. You're going to want it all, I'm afraid. But here's a simple set you can buy that doesn't need extra framelits to go with it. The images are cute and you could colour them in or not. ( Did you know that you can buy a set of two markers, Cherry Cobbler and Garden Green, perfect for these images, for the first time in the Holiday catalogue, instead of having to buy the whole Regal set.) 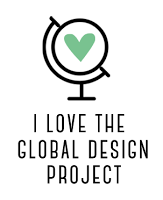 Just add some cute Designer Series Paper and you're good to go! This set is called Christmas Magic* and it comes in either wood mount or clear mount. 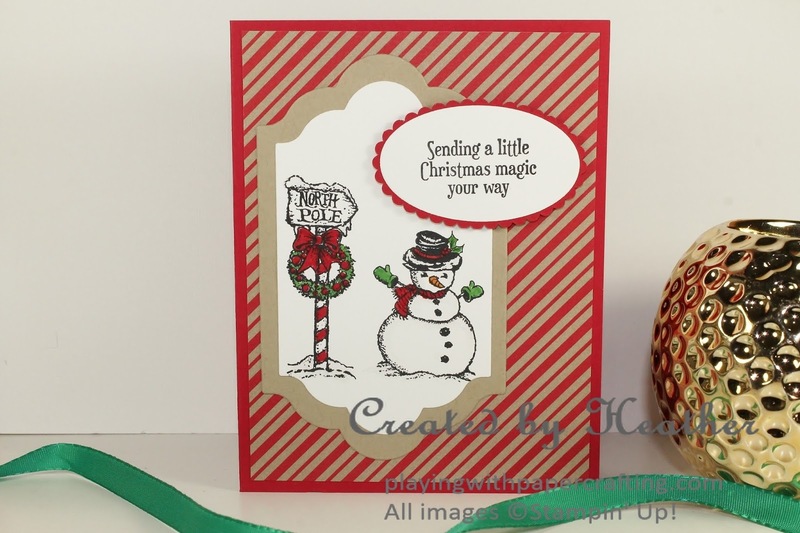 On a card base of Real Red, I added a panel of Candy Cane Lane Designer Series Paper*. I just love that Crumb Cake and Real Red palette and the candy cane stripes. 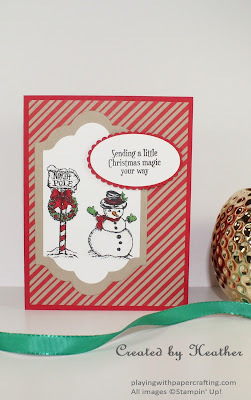 I stamped the two images in Basic Black Archival Ink and coloured them in with Real Red and Cucumber Crush Stampin' Write Markers, with a little Pumpkin Pie for the Snowman's nose! So easy to do. What you can't see here is that I used a little Clear Wink of Stella on them when they were thoroughly dry. I wish you could see the extra element of sparkle it adds to them. 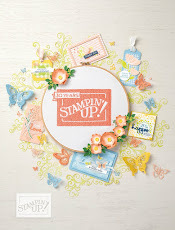 The images were die cut with the Lots of Labels Framelits and a larger backing from Crumb Cake card stock. 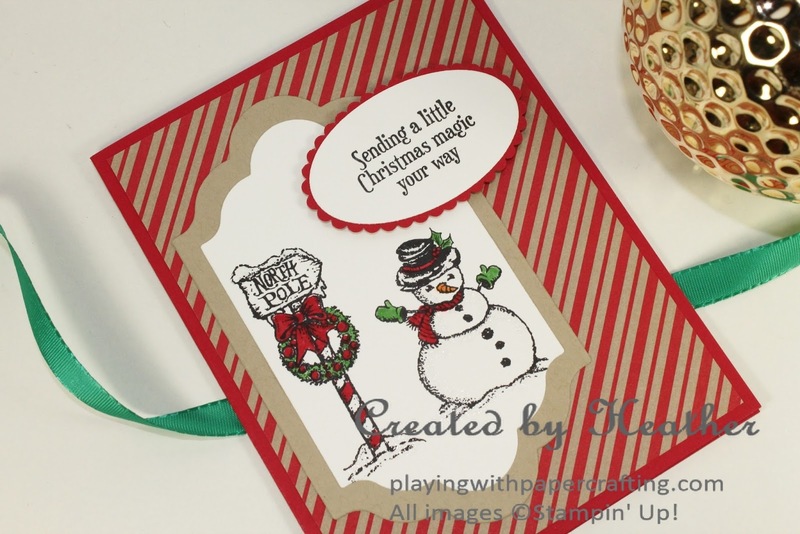 The sentiment is also from the Christmas Magic stamp set* and is die cut along with its backing using the Layering Ovals framelits. 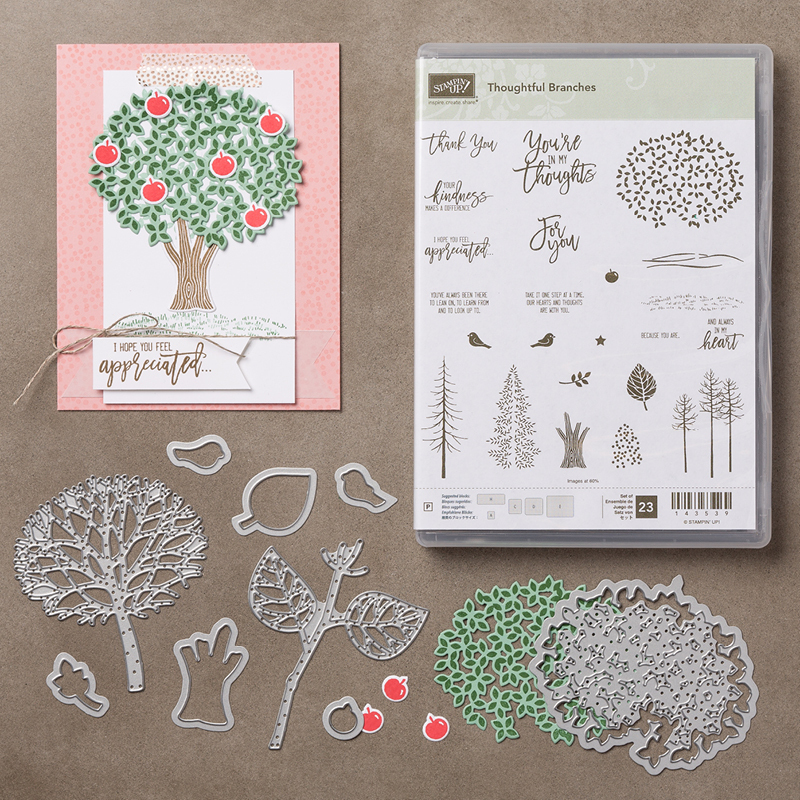 Because these are easy to duplicate, they are perfect for a stamper's dozen, but that means they are also perfect for you and you holiday greeting cards. All the products from the Holiday Catalogue will be available on September1! Just another reminder to use up your Bonus days coupons in August. They will expire August 31! Why not spend them on the Thoughtful Branches Bundle? It's an amazing deal and only available until August 31. 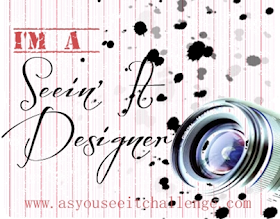 Check out the amazing things you can do with this bundle on my Pinterest board. And Paper Pumpkin has a new deal for new subscribers. 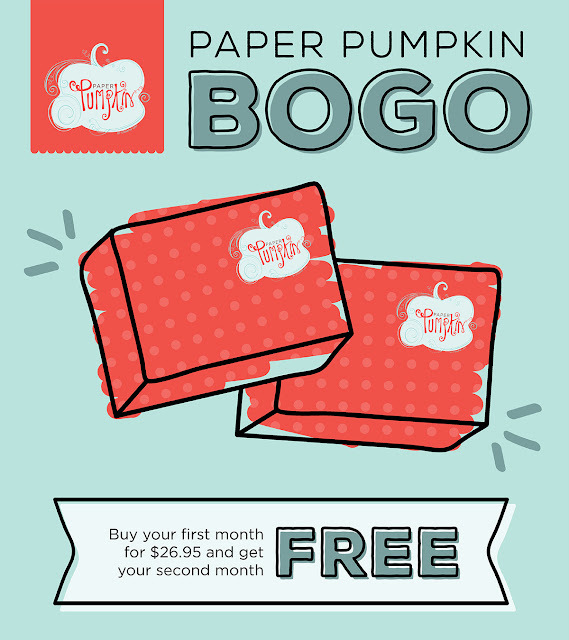 Subscribe for the first time between now and September 10 and get your October Paper Pumpkin kit for free!! 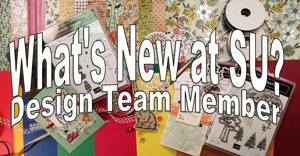 Subscribe for the first time between September 11 and October 10 and get you November Paper kit for free! Just use the promo code "BOGO" when you sign up. *For first time subscribers only.